Look no further than the Spalding NBA Zi/O Indoor/Outdoor Basketball if you want a great outdoor basketball. Just at home on indoor courts as it is on the tarmac, this ball is affordable and will stand up the hours of competitive play. Play like the professionals with this officially licensed ball. Basketball is one of America’s most popular sports. 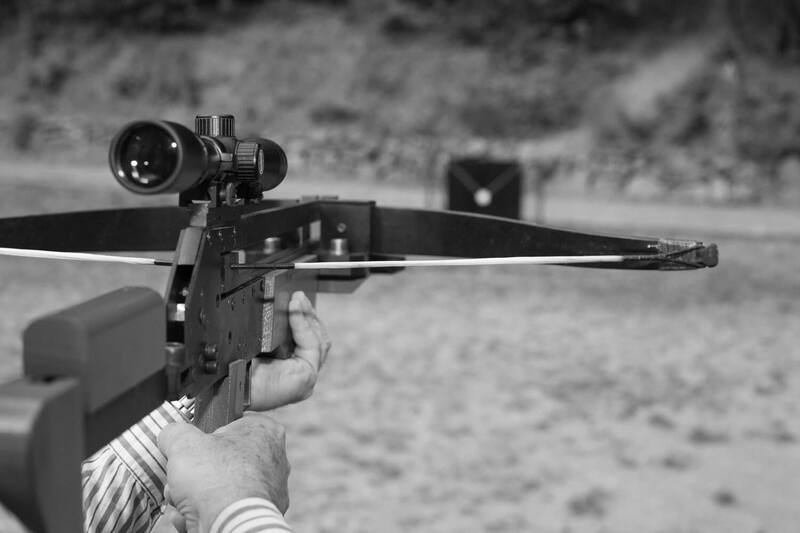 The secret to this popularity lies in the ease in which players can pick up the game. All you need to know to get started is how to bounce a ball and throw it toward a hoop. Of course, far more goes into getting good at the game than some basic knowledge of the rules. The very best players spend hours honing their craft on the courts. If you want to stand a chance of reaching that level of skill you need a quality basketball. This is especially true when playing on outdoor courts. 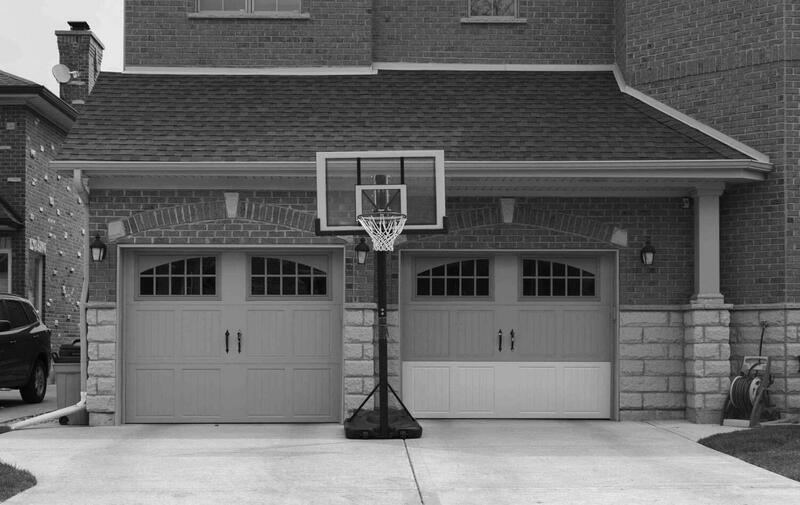 The best outdoor basketballs can withstand the wear and tear caused by playing on hard, outdoor surfaces. That’s where this list comes in. We have compiled a collection of three of the very best outdoor basketballs around. Each has different qualities, so let’s take a look at them individually to see which comes out on top. Anybody who plays basketball will recognize the Spalding name. The company has produced basketballs for professional use for decades, so you know right away that the presence of that brand is an indicator of quality. 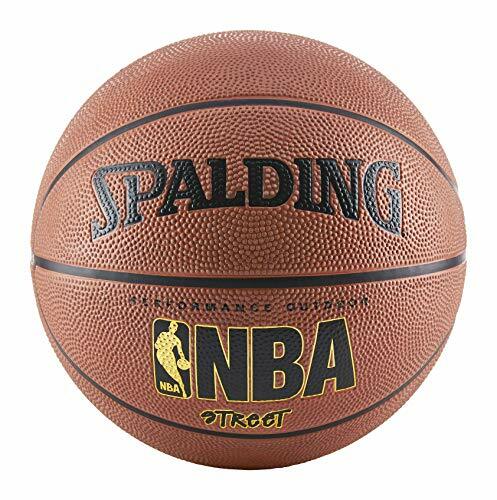 Quality is certainly what you will get with the Spalding NBA Street Basketball. Designed especially for outdoor play, the ball has all of the hallmarks of the Spalding brand. It features a wide channel design that incorporates a superior grip, making it easy to keep a handle on the ball during dribbles or when you’re preparing to take a shot. The feel of the ball is just as important. That’s an area where Spalding excels. This is a size 6 ball, making it great for intermediate players who aren’t ready for a full-size basketball. You’ll quickly find out just how good this ball feels in the hands when you start playing with it and you’ll start popping off shots in no time. Of course, that would mean little if the ball started to fall apart after a few games. You won’t have to worry about that with the Spalding NBA Street Basketball. 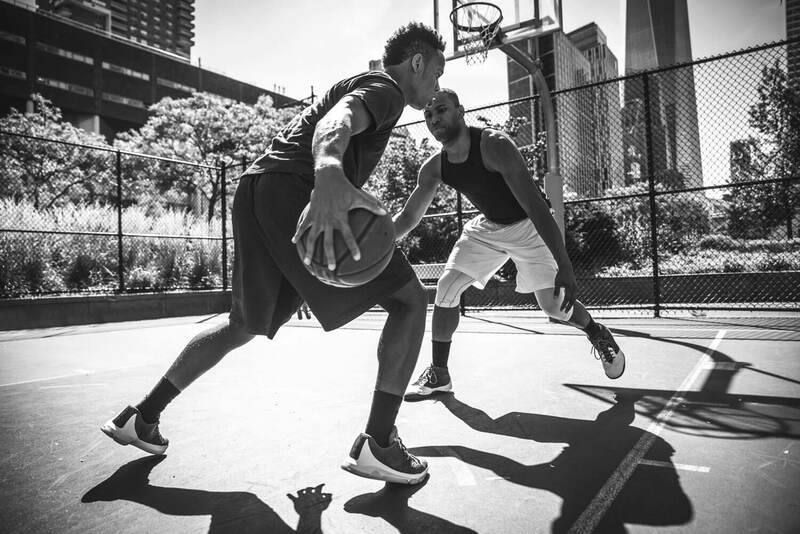 Competitive play on outdoor courts is the name of the game here and the basketball will last a long time, no matter how hard you play. The best part is that you don’t have to break a big cost barrier to get your hands on this basketball. For $9.99, at the time of writing, you’ll have a great outdoor basketball from one of the world’s leading manufacturers. Spalding return with yet another set of basketballs that are perfect for use on outdoor courts. Available in a variety of colors, the NBA Varsity Outdoor Rubber Basketball is an officially licensed product that meets every requirement an amateur or professional player could have. Let’s return to those colors for a moment. The standard Varsity ball comes in blue and black. However, Spalding have also produced several variations of the ball so you pick the one you feel suits your style best. The flashiest players want a ball that suits the way they play and Spalding have provided here. Looks aren’t everything, of course. 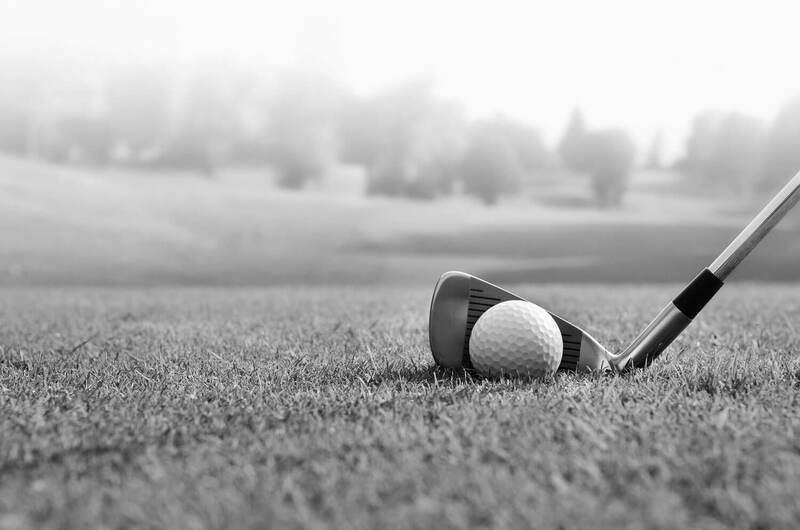 The color of the ball doesn’t mean a lot if it doesn’t feel right when you play. You don’t need to worry about that with a Spalding ball. Coming in at a size 7, which is the official basketball size of the NBA, the Varsity offers that professional feel that helps players feel instantly at home during their games. The ball also comes with a rubber covering, which protects the ball from the little bits of grit and gravel that can cause damage to a basketball when playing outdoors. If you’re looking for a good, cost-effective basketball for outdoor play, the Spalding Varsity may well be the perfect choice for you. 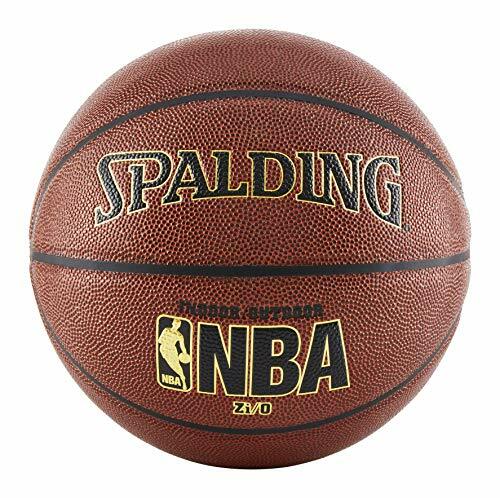 With plenty of color choices available and the quality that Spalding has a reputation for, it’s hard to find many better outdoor basketballs around. At the time of writing, you can expect to pay between $6.17 and $31.40, depending on which version of the ball you choose. For those looking for a ball that offers professional quality at a low price, the Spalding NBA Zi/O fits the bill nicely. Featuring the official branding of the NBA, as do all of the balls on this list, the Zi/O sets itself apart because it is just at home on an indoor court as it is on an outdoor court. Matching the official size of the balls used in NBA games, the Zi/O also has the same weight as the basketballs the professionals play with. That means even the newest player can get a feel for what it’s like to play in the NBA as soon as they get their hands on this ball. This is ideal for practicing for competitive matches. 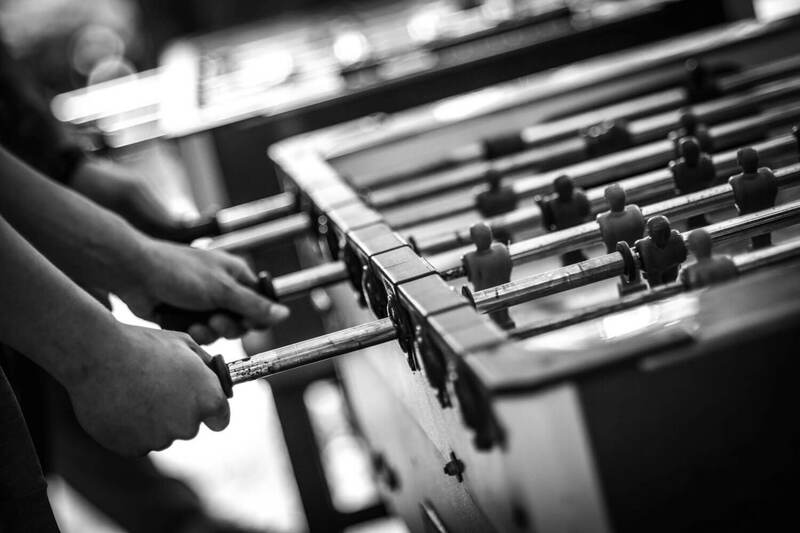 The ball uses a composite leather that helps it to stand up against the rigors of outdoor play. Spalding has used pebbling on the exterior of the ball to aid plays in keeping their grip. This also serves to give the ball a nice, soft feel that makes it comfortable to handle and ensures it won’t cause issues with your hands after extended play. One of the most versatile basketballs available, the Zi/O is perfect for play on any surface. You won’t have to worry about scuffing up wooden floors and the ball will easily handle anything the great outdoors can throw at it. At present, all of this comes for the great price of $19.99. For less than $20 you can have a basketball that is suitable for professional play. Picking the best of these outdoor basketballs was a difficult task. Each made by the same manufacturer, they are all great for playing outdoors. However, the versatility of the Spalding NBA Zi/O Indoor/Outdoor Basketball really helps it to stand out. There are few balls that feel as comfortable on any surface and the price is reasonable too. Even so, the other outdoor basketballs we’ve featured have plenty to offer. The Spalding NBA Street Basketball is great for younger players due to its smaller size and price. 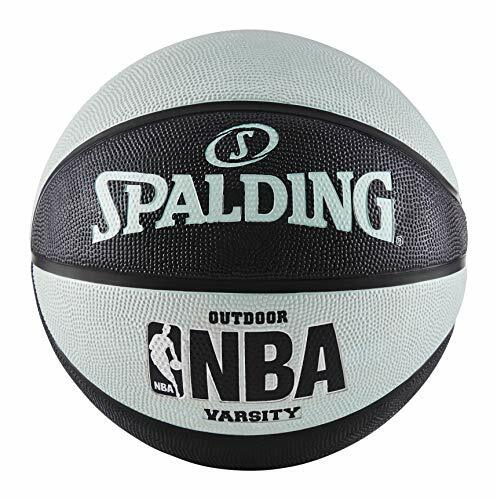 On the other hand, the Spalding NBA Varsity Outdoor Rubber Basketball offers more color choices with a great feel.